On April 24th, 2014, it was announced that the Expanded Universe of Star Wars was to become Legends. In Legends, those stories would exist outside the canon timeline. Basically, they were frozen in carbonite. Preserved to those, who sought them out. Below is one such story recommended to readers to check out . “Winner Lose All” written by Timothy Zahn was an e-novella released on December 10, 2012. Originally "Winner Lose All" was just an ebook, but the story was later packaged with the tie-in novel Scoundrels, also written by Timothy Zahn. The story is not long at all. The length is similar to a five issue comic. However, the length feels right. The story pulls you right in. Entertains you. Easily accessible. Refreshing. Now, for the nitty-gritty. Danteel City. A place of splendor. Splendor in the arts of taking the credits of millions. Millions of gamblers, swindlers, and opportunists. On that planet is a Tchine. One small object. A tiny piece of art. Luring in so many hungry opportunists to the High Card casino. The home to Veilred Jydor and his precious Tchine. The prize of his Sabacc tournament. One of seven identical sculptures to ever exist. Unobtainable. Unless one were to win in an exquisite gambling tournament of Sabacc! Forget the Empire. Its war machine is off devouring the worlds of materials. On Danteel, the only material worth harvesting is credits. One opportunist is the self-proclaimed entrepreneur, Lando Calrissian. The story is set some time before the Battle of Yavin. Before the Rebellion destroys the Death Star. Before anyone gives a hoot about some pilot wagging a laser sword in the air. The Rebellion is mere whispers on the street. Rumors. The focus on Winner Lose All is not the war. Not the Sabacc tournament. Not even the Tchine! No, the focus is in the shadows. The person in the corner of the eye, not being fully manifested. Spectre infinite borrowers of precious items. Ghost Thieves. Twins sisters Bink and Tavia Kitik. One with the art of sneaking into the tiniest places. The other with the art of hacking and planning. A winning combination. Lando Calrissian was not part of the plan. They had crossed paths with Calrissian before and the Kitik sisters would cross his path again. A little charm. A little espionage. Everyone could have walked away. However, that was not how the cards were dealt. Murder and mystery! This story unravels a plot of power! 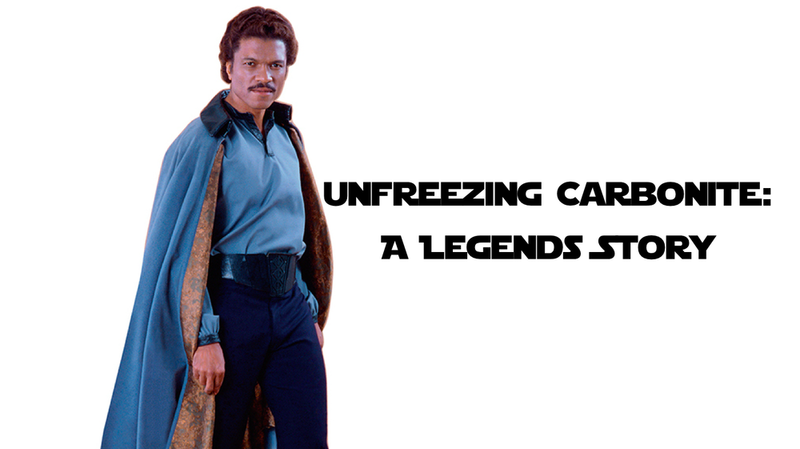 I could hear Billy Dee Williams voice in Lando. I could imagine his expressions. The beauty of this e-novella is how well it can fit into the canon timeline. In Rebels, Lando was bouncing from one opportunity to the next. In the comic Lando, set a few years after this story, is consequently working on another con job. One could easily imagine Calrissian jumping at the chance to join a Sabacc tournament. One could easily imagine Calrissian joining the Kitik sisters and their other conspirator Zerba Cher’dak (card cheating Balosar, who was there for the original job) after deadly complications. In the end, this story is worth checking out. Before the war kicks into Corellian overdrive, there was this gambling crime drama. Tons of fun to read. Quick and to the point. Timothy Zahn paints a wonderful canvas here. If anyone is on the fence about trying his work, read this e-novella.